Metro Atlanta Mortgage Forecast: Easy Money? The Metro Atlanta mortgage forecast – at least for the near future – is that home loans will continue to be easier to obtain than anytime in the last ten years. The Mortgage Bankers Association (MBA) recently published a report showing data that seems to suggest mortgage lenders have relaxed many of their lending regulations and standards for every type of loan – including FHA and USDA home loans – both backed by the U.S. government. Between 2008 and 2016, it was estimated credit availability to take out mortgages tightened by close to 90%, according to an MBA report. However, today’s Metro Atlanta mortgage forecast is brighter than before, and more people are qualifying for loans than in the last decade. Officials say even those borrowers who may have been turned down for a mortgage loan a year or more ago are likely to be granted financing in today’s lending environment. The Metro Atlanta mortgage forecast is for relaxed lending standards to not only continue to be a part of a mortgage lender’s loan guidelines, but they’re making an impact in other areas as well. 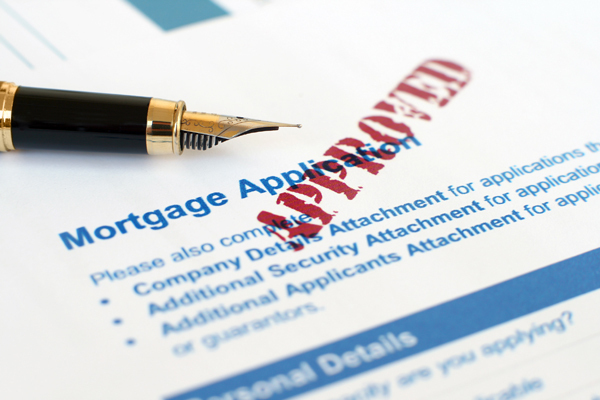 Mortgage software company Ellie Mae just released a report showing mortgage lenders approve 77% of applicants – an increase of 6% in roughly 18 months. In addition, the MCAI rose 1.1% in only one month. The report also showed that lenders have relaxed lending requirements for loans above the national conforming loan maximum of $424,100. First-time home buyers really like the little-known USDA home loan program. USDA loans require no down payment, one of only two loan products with that feature – the other being the VA loan – which is available to current or previous members of the Armed Forces. USDA loans are also known as Rural Housing Loans and eligibility requirements are based on the home’s location. Primarily, neighborhoods throughout the U.S. that are in less densely populated areas are the easiest in which to qualify. Before you assume these programs are available only to homes located “in the boonies,” consider this – the eligibility maps are 17 years old. In many areas, was characterized as “rural” in 2000 could be part of suburbia today. The Metro Atlanta mortgage forecast will continue to be impacted by USDA loans. Mention the increased availability of mortgage credit and some people immediately equate that with concern for another housing market crash. In their minds, the logic is easy mortgage availability was responsible for the housing crisis back in 2008 and 2009 – so, if credit becomes easy to obtain we are likely to repeat history. However, here’s something that may calm your fears. Remember the Mortgage Banker’s Association (MBA) MCAI index report discussed earlier? The MBA estimates it reached close to 900 during the bubble in late 2006. Again, the index today is just 177.1. Industry experts say the Metro Atlanta mortgage forecast is for credit availability to remain strong – and safe – because the housing market is a different animal than it was over a decade ago. Lenders are less likely to be as lax as they were in the years leading up to the housing crisis. Simply put, we remain optimistic with the Metro Atlanta mortgage forecast for 2017 and beyond. Here’s hoping the housing market will continue to recover to its full capacity. You can find more articles pertaining to the Metro Atlanta mortgage forecast in the "Atlanta Mortgage Info" section of articles just below Atlanta Real Estate Categories in the column to your right. Remember to also check us out by finding us on Facebook and following us on Twitter. Let’s look at what’s transpired in recent months since the presidential election in November. The average interest rate for a 30-year fixed-rate mortgage increased from 3.68% to 4.2%, based on Freddie Mac's mortgage rate survey report. However, despite the increase, even a 4% rate is very low compared to historical averages. To put that into perspective, for roughly 30 years from 1971 to 2001 mortgage interest rates were above 7% most of the time. In October 1981, they peaked at 18.16%. It wasn’t until 2008, just over eight short years ago, that interest rates began to drop consistently below 6%. While Metro Atlanta mortgage rates are expected to continue to rise slightly this year, most agree that aggregate increases will be less than 1% – meaning rates should remain below the 5% level. With that in mind, relatively speaking, mortgages will still be affordable for most home purchasers. And, as mentioned above, compared to where interest rates were just a decade ago, a 4% to 5% interest rate will seem like a bargain! Since 2009, the Federal Reserve has purchased significant amounts of mortgage-backed securities. The recent strength of the stock market – as a result of the presidential election results – has meant those purchases have temporarily been suspended. In addition, the Fed has indicated they may raise the federal funds rate at different intervals this year. The fed funds rate is the rate at which banks loan money to each other. However, there is a loose relationship between the fed funds rate and the longer-term mortgage interest rates. A small increase in the Fed’s actions may translate to a slight increase in mortgage rates and their monthly payments. As an example, on a $200,000 30-year fixed-rate mortgage at 4% the payment would be roughly $955 per month. At 4.5% the payment would be approximately $1,013. A 5% mortgage rate would equate to payments of roughly $1,074 per month. As you can see, the impact of slightly higher rates isn’t really a significantly higher monthly payment. It likely would only impact those homebuyers who were watching their budgets carefully, or those that would be on the borderline of loan qualification. A greater concern than Metro Atlanta mortgage rates seems to be the rising home prices continuing to occur throughout the U.S. The median sales price of a home in 2016 rose 5.5% from the previous year. Experts expect a 5.3% increase this year. And therein lies the real issue. The “double-whammy” of higher interest rates combined with higher sales prices may be the deterrent to may home buyers – especially first-timers. Let’s take a look at six factors that may have more impact than interest rates on your monthly mortgage payment. Higher credit scores translate to lower interest rates for applicants with good credit. A score of at least 740 will likely get the best rate from most mortgage lenders. A popular misconception is that you have to have a down payment of at least 20% in order to buy a home. However, if you do have 20% to put down you can avoid having to pay private mortgage insurance (PMI), a type of insurance that protects the lender against the borrower defaulting on their mortgage payments. According to Freddie Mac, the PMI premium can run anywhere from $30-$70 per $100,000 of your mortgage amount. Naturally, with a larger down payment, the monthly payment amount is less since you’re financing a lower loan amount. That's always true, regardless of what Metro Atlanta mortgage rates do or don't do in the future. "Points" are actually percentage points of the loan amount – 1 point equals 1% of the loan amount – so, if you’re borrowing, say, $200,000, a point would be $2,000. You can pay points to lower your interest rate. Since points are prepaid, be sure you “do the math” and determine whether buying down the interest rate is the best financial decision for you at the time – and to make sure it’s saving you interest in the long run. While a 30-year fixed-rate mortgage loan is the most popular selection, if you can afford the increased payment it may be worth looking at a shorter term. A 15-year term will not only be issued at a lower interest rate, but you’ll save more than 50% in total interest repayments over the life of the loan. Even borrowers who opt for a 20-year or 25-year term are pleasantly surprised at the interest savings they can enjoy by paying slightly more money each month. Ask your mortgage lender for an amortization schedule with different terms for comparison and see which term fits your financial capabilities best. Closing costs and fees vary from one lender to the next. It’s worth shopping around to find the best deal on closing costs. In addition, some fees are negotiable, so ask questions and make the best deal you can. Lastly, remember who pays the closing costs is strictly between you and the seller of your home. So, be prepared to negotiate with the seller for him to pay part – or all – of the closing costs as part of the contract. Naturally, a higher price tag for a more expensive home translates to higher monthly mortgage payments. Make sure you are looking for homes in your affordable price range. What’s the joy in buying a home if you have to struggle to make the monthly payments – even if you qualify for a higher amount? Consider selecting and buying a less expensive home, even if you have to do without certain features or extras. You’ll sleep better at night. You can find more articles pertaining to the Metro Atlanta mortgage rates in the "Atlanta Mortgage Info" section of articles just below Atlanta Real Estate Categories in the column to your right. Metro Atlanta Mortgage Outlook: Are Rates Going to Rise? The Metro Atlanta mortgage outlook is expected to include higher interest rates for 2017. The Federal Reserve’s recent short-term interest rate hike was both highly anticipated and expectedly minimal. And, while the fed funds interest rate has little direct correlation to longer-term mortgage interest rates, there has been – and may continue to be – a slight upward movement in rates for home loans. A burning question exists, however, as to whether the Metro Atlanta mortgage outlook of rising rates will really make much difference to the housing market in 2017. The reason for the question is simple: Increasing rates, as exhibited by the Federal Reserve, are indicators of a stronger national economy – and a stronger economy historically favors the housing industry. The report also revealed the anxiety of a larger number of owners and prospective buyers would increase if the Metro Atlanta mortgage outlook were to include further rate increases. The lesson here is that when it comes to housing, perception is reality. Case in point: Interest rates are still within 1% of all-time historic lows, but to many potential buyers – especially first-timers – it may not seem that way, in light of the recent attention rate increases have received. In addition, to further highlight the intangible impact the Metro Atlanta mortgage outlook may have on the home buying public, Zillow offers this recent finding. In a survey of consumer housing trends, Zillow says home purchases were more closely tied to a consumer’s overall financial health than to any interest rate changes. They found certain life events – like employment changes, promotions, job-loss, or a change in the household make-up were more impactful factors affecting a home purchase. As a result, Zillow says, while there is naturally concern over the part of prospective homebuyers about rising interest rates, they are quick to realize that by historical standards the cost of borrowing money today for a home mortgage is very low. Lastly, while rate increases may have an impact on where they buy or the size home they buy, most purchasers are committed to entering the housing market once they elect to do so. Finally, as we analyze the Metro Atlanta mortgage outlook for 2017, one continuing concern lingers in the housing market – available inventory. Experts say the biggest obstacle facing a strong spring housing market won’t be higher interest rates, but a lack of home supply. Real estate listings throughout the U.S. fell in 2016 compared to 2015 with little sign of improving enough during 2017 to impact the spring. Sales increases, quite simply, are dependent on housing supply – and one can’t occur without the other. While the new-home market is on the rise, homebuilders have still been unable to keep up with the demand for new housing, and housing starts have been lower than usual. In addition, homeowners who would normally be selling their homes to move into larger, better or more expensive homes aren’t moving as they once did. Experts say a typical homeowner stays in their existing home twice as long as they did just 15 short years ago. Increased interest rates will likely continue this trend as consumers won't sell their homes unless they have another home to buy – and probably will be less likely to pay more for the financing than they currently pay for their lower-rate mortgages. In summary, the Metro Atlanta mortgage outlook seems to be less about rising rates and move about other factors – some that are intangible like financial well-being – and others that are more practical like home inventory and new- and existing-home supply from which to choose. You can find more articles pertaining to the Metro Atlanta mortgage outlook in the "Atlanta Mortgage Info" section of articles just below Atlanta Real Estate Categories in the column to your right. The Metro Atlanta housing and economic outlook for 2017 seems to be filled with nagging questions about how gradually increasing interest rates may affect the continued improvement of the housing market. While interest rates have edged slightly upward in the last several weeks – most notably in response to the stock market's post-election gain – home mortgage rates are still comparatively low. But for how much longer? An extended period of rising rates may paralyze homeowners with low rate mortgages who would otherwise potentially be in the market to buy bigger or newer homes. Economists call such market conditions "rate lock," which could take a toll on housing demand during 2017. The past Metro Atlanta housing outlook has enjoyed a seven-year run of near record low mortgage interest rates. That has encouraged homebuying and has increased home values dramatically since the housing crash of nearly a decade ago. Yet, the aforementioned increase in mortgage rates since the election has real estate professionals and prospective homebuyers a little on edge. Higher interest rates, of course, translate to higher monthly mortgage payments. That can cause existing homeowners to stay in their homes a little longer rather than trading up. As one real estate professional put it, "It doesn't take much to turn off the faucet in this market because inventory is so low and prices have gone up so quickly." The most recent mortgage interest rate increase boosted the monthly cost of owning a typical home in United States by slightly more than $70 per month. That equates to roughly $26,000 over the term of a 30-year fixed rate mortgage loan. While $70 per month is not a substantial amount, it probably has already had an impact on marginal borrowers concerned about additional expenses. Experts fear another half-point rate increase could impact even the more qualified borrowers. In addition to the affordability aspect and the psychological impact that a higher monthly payment may have on a family purchasing a home, mortgage qualification may also become an issue. The Metro Atlanta housing market has already seen some households who spend 35% or more of its income on mortgage payments. Most experts recommend that debt-to-income ratios fall between the 30% to 33% range. As interest rates rise, the debt-to-income ratio will be strained causing some lenders to reconsider whether a borrower may qualify or not. According to CoreLogic, Inc., roughly 66% of homeowners in the United States who have mortgages enjoy rates less than 4.5%. Economists say rates would probably need to increase above 5% before homeowners face the "rate lock" dilemma mentioned earlier. And that's where the concern begins to form. Because of the strengthening U.S. economy, the Federal Reserve will likely increase short-term interest rates this month. While the rates on Fed funds have no direct correlation to mortgage interest rates, an increase by the Federal Reserve would likely send a message that interest rates in general will likely rise – even if only slightly. Home mortgage interest rates are more closely tied to the yields on U.S. Treasury bonds. Those yields usually rise during inflationary periods, and while economists predict mortgage rates will increase in 2017, nobody really owns the proverbial "crystal ball." 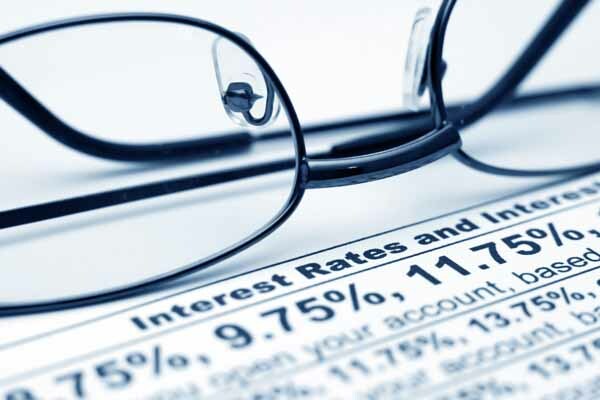 Interest rates have risen largely due to the improved economy. In addition, investors are gambling that increased government infrastructure spending along with resultant tax cuts will continue to accelerate growth. The underlying hope is that the additional growth will spur increased wage growth, and higher wages should offset the increases in higher mortgage payments. However, one economist warns that since so many American homeowners have low rates on their mortgages, it could result in an ironic disincentive by encouraging homeowners to pursue employment in other cities if it means their mortgage payments will be higher. So, what does all this mean for the Metro Atlanta housing outlook moving forward? If history is any indication, rising interest rates can impact the economy quickly and dramatically. Mortgage interest rates in 2013 increased almost a full percentage point to 4.5% on the heels of investor predictions the Federal Reserve would decrease its bond buying program. The result was a decline of 8% on the sales of previously owned homes over the next six months. In addition, sales price increases dropped from an average of 9% to roughly 5%. Therefore, if 2013 is any indication the market could potentially experience a cooldown in home prices. Of course, it remains to be seen what affect increased interest rates – if they do occur – will have on the Metro Atlanta housing market and the resulting economic outlook. However, one thing to remember is that even interest rates in the 5% range still are relatively low when compared to other times in American history. Naturally, home prices continue to rise, meaning mortgage loan amounts are higher than ever before. However, going forward there is light at the end of the tunnel when it comes to home affordability. History has proven more times than not that even in the face of housing challenges home affordability is a luxury still readily available to most Americans. Whether it's more affordable mortgage products with more favorable terms and conditions or more affordable housing units entering the market, the bottom line is that housing is too big a piece of the U.S. and world economy to be adversely affected for long. We've weathered such storms before and with the exception of the housing crash of a decade ago, the industry has rebounded steadily and has learned from its mistakes. Time will tell if the slight interest rate increases will lead to a slowdown of the housing recovery, or if it will provide the impetus for creative lending, improved mortgage products, more affordable housing and sufficient motivation for first-time homebuyers to buy. While the challenges can be daunting, the industry remains hopeful that only slight interest rate increases will occur, resulting in minor fallout that can be absorbed by the market through greater home inventory and a continued steady demand. You can find more articles pertaining to the Metro Atlanta housing outlook in the "Atlanta Economy" section of articles just below Atlanta Real Estate Categories in the column to your right. You took out your Metro Atlanta mortgage loan a few years back when both you and your spouse were working and things were going pretty well financially. In fact, that’s the reason you bought your first home. Since then, the economy has slowed considerably and your employer has downsized. Over time – which was an almost guaranteed addition to your budget for a few years – is now a thing of the past thanks to the company’s new management. While your income has dropped considerably, your obligations continued – especially those to your Metro Atlanta mortgage loan institution. So, what do you do? What can you do? Let’s take a look at how an honest, proactive and direct approach with your creditors can work to your benefit when times get tough. If you’re a homeowner and have already missed a payment on your Metro Atlanta mortgage loan, seek assistance from your lender as soon as possible. There are laws now called the “rules restricting dual tracking.” Dual tracking is the process whereby a mortgage loan servicer (the arm of the mortgage company who’s responsible for collecting your payment and accounting for it each month) forecloses on a home while simultaneously entertaining a mortgage loan modification by the borrower. The Consumer Financial Protection Bureau (CFPB) wrote the law in 2013 to prohibit lenders from dual tracking within a 120-day period after a mortgage loan default. The rule allows greater protection for borrowers going into, or already in, the throes of foreclosure proceedings. Plus, the law has teeth – violators are subject to damages, and that may give borrowers necessary leverage for favorable consideration in a foreclosure lawsuit – if and when it that time comes. Metro Atlanta mortgage loan experts say there may be programs available in some states that will make mortgage payments for homeowners. In 2010, the Hardest Hit Fund (HHF) was designed to assist borrowers struggling to make their monthly payments. The assistance was created in an effort to stave off foreclosure and return economic stability into some neighborhoods. While not available in every state, the states that do provide the HHF assistance concentrate their efforts on two groups of homeowners: Those who are unemployed and are looking for a new job, and borrowers who are “underwater” on their mortgage. These homeowners owe more on their mortgage loan than their home is worth. Be proactive with your financial problems – even if you think they are just temporary. By not doing anything or ignoring your situation with a creditor – especially a Metro Atlanta mortgage loan company – the lender may assume you don’t care about your financial responsibility or your promise to repay the money they loaned you. We’re talking about your home, here, so the last thing you want your mortgage company to think is that you don’t care about losing your home. You can find more articles pertaining to Metro Atlanta mortgage loans in the Atlanta Mortgage Info section of our site below Atlanta Real Estate Categories in the column to your right. We also post daily tips, many of them related to Metro Atlanta mortgages, on Facebook and Twitter and would love for you to follow us there, too. If you’ve paid attention to the Metro Atlanta mortgage industry, no doubt you’ve seen and heard all sorts of ads for a Metro Atlanta reverse mortgage. Just exactly what is a reverse mortgage, you ask? A Metro Atlanta reverse mortgage enables a homeowner to extract the equity in his home to use as monthly income. 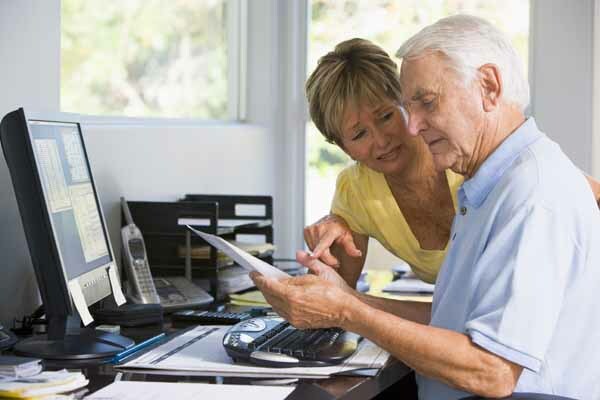 These mortgage instruments can sometimes be attractive options for senior citizens and retirees. The reason? There are no monthly mortgage payments. As long as the homeowner continues to pay real estate taxes and home insurance – and maintains the property in good condition – the repayment of the mortgage doesn't commence until the owner dies, transfers ownership, or no longer lives in the home. A Metro Atlanta reverse mortgage, however, may not be for everybody. There are other alternatives to consider – especially if you’re thinking about tapping into your home's equity to help pay living expenses during your retirement years. Let’s take a look at a few options. 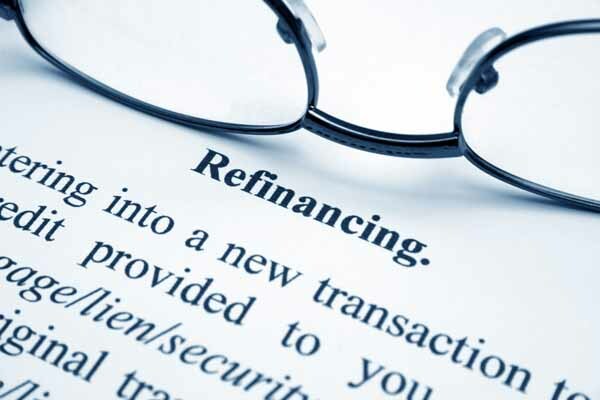 Refinancing can be a viable alternative to a reverse mortgage. With interest rates at or near all-time lows, from a pure rate standpoint you’ll likely have a much lower rate than you currently have. In addition, being able to extract cash from the equity you’ve built up in your home – especially as home values have risen in the last few years – is an excellent way to borrow cheaply. Another big advantage to refinancing versus taking out a Metro Atlanta reverse mortgage is you're maintaining the control of your biggest asset – and that’s important if you want to leave the property to family members or other heirs. A home equity loan provides you a lump sum secured by the remaining equity (or value) in your home. It requires normal regular interest payments each month. Metro Atlanta reverse mortgage lending experts say if you’re considering a reverse mortgage but want to leave your home to your children or other heirs, a home equity loan would be a better option. Of course, selling your home and moving into something smaller is always an alternative to a Metro Atlanta reverse mortgage – especially for retirees or those approaching retirement. The biggest advantage to downsizing is you can get all the equity in your home in one lump sum as the proceeds from the closing of the sale. Should you elect to keep your home in the family, selling it to a child or other family member is a possibility. In addition, if you can afford it and if it makes sense financially, you can even consider owner financing by having your child pay you the monthly mortgage principal and interest payments. This is especially a good option if your child or family member doesn't have any credit established or needs down payment assistance. But remember this, family or not, if you choose to take the place of a Metro Atlanta mortgage lender, do everything by the book. Have the required legal documentation in place with you as the mortgage holder and your family member or child as the borrower signing the note for the amount they owe. A real estate attorney can assist you in handling the preparation of the necessary documents and the closing of the sales transaction. You can find more articles pertaining to a Metro Atlanta reverse mortgage in the Atlanta Mortgage Info section of our site below Atlanta Real Estate Categories in the column to your right. 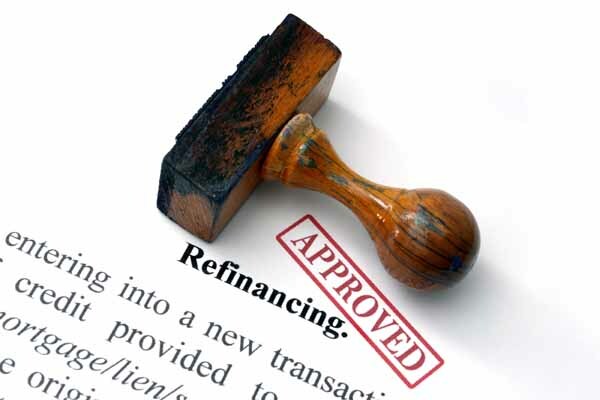 Metro Atlanta Mortgage Refinancing: Are You Missing Out? The Metro Atlanta mortgage refinancing market has enjoyed months of near-record low interest rates. The rates have stayed so low for so long that many borrowers assumed home mortgage interest rates will be low “forever.” And for good reason. At the first sign of rising interest rates – regardless of how slight the expected increase – the global money markets seemed to force them downward again. Even the rumblings of a Federal Reserve increase in fed funds rates did little to change the feelings of some borrowers who watched mortgage rates remain low throughout the peak home buying months. The majority of borrowers refinanced in the past year or so while interest rates were low. Surprisingly, however, more than 10% of borrowers throughout the nation have yet to refinance. Of the ones who haven’t refinanced their mortgages, most have home loans with rates at 5% or higher. The average rate of those borrowers in the Metro Atlanta mortgage refinancing arena who have actually refinanced is roughly 3.5%. Closing costs, though not as high as on a new loan origination to purchase a home, can still be substantial. Though it may seem unnecessary, the lender is required to ensure the home's value is sufficient for the loan amount to be granted. Therefore, either a new appraisal (or, in some cases, an update to the existing appraisal) is required. 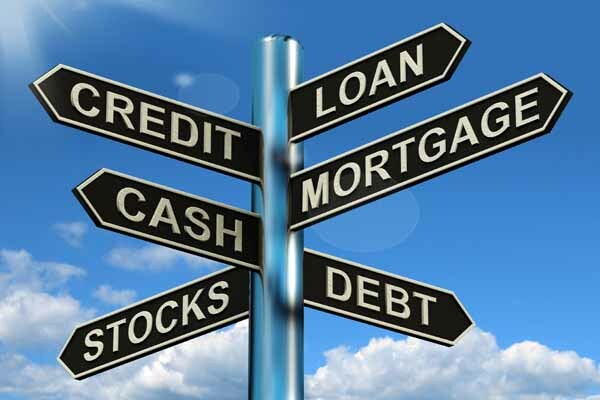 In addition, you can expect to pay a loan origination fee and an updated title search fee. A new credit report and normal court recording costs will also be required. You may have to pay for an updated termite inspection and a home inspection. After all those costs are taken into consideration, then and only then can your Metro Atlanta mortgage refinancing lender give you an estimate on the cost savings to refinance and an opinion as to whether it makes financial sense. From there, only you can make the decision. You can find more articles pertaining to Metro Atlanta mortgage refinancing and the overall mortgage market in the Atlanta Mortgage Info section of our site below Atlanta Real Estate Categories in the column to your right. Metro Atlanta Mortgages – What Will Slightly Higher Rates Mean? Interest rates recently rose slightly, raising the question of what affect they will have on Metro Atlanta mortgages. 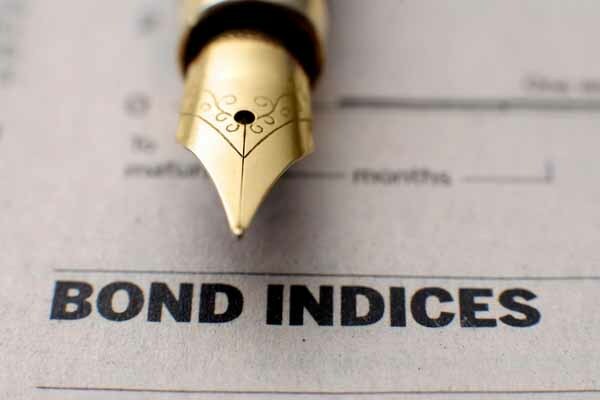 Rates increased for the first time in more than two months, creating a sell-off in the U.S. Treasury bond market. Mortgage interest rates have traditionally been tied loosely to the 10-year Treasury bond yield. While the increase in interest rates was only .125% (1/8th of a percentage point) the uptick was enough to adversely affect stocks in the nation’s homebuilding industry. Despite the impact the interest rate increase had on Wall Street, its relationship to Metro Atlanta mortgages is expected to be minimal. 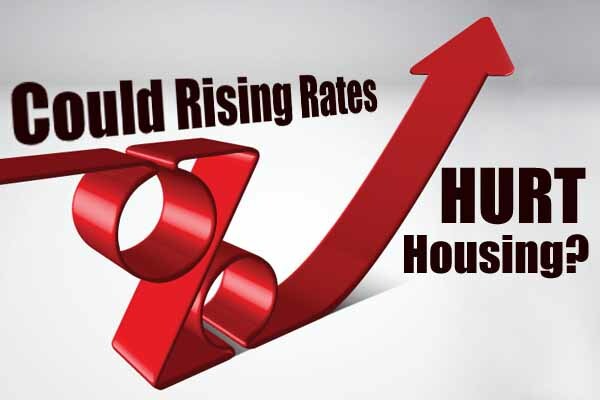 Let’s take a look at the various forms the rate rise will likely have throughout the nation. Historically, a slight uptick in interest rates – if anything – has signaled the end of rate drops, causing prospective home purchasers to finally make a move to buy before rates go even higher. When rates are low and could be expected by some to inch even lower, potential homebuyers often wait in the wings for rates to get even better before they decide to buy. A mortgage industry spokesperson said that when rates move upward – even the slightest amount upward – there is always room for concern. He called the interest rate increase “a serious threat to low, stable mortgage rates until proven otherwise.” Mortgage interest rates have been at near-record lows for most of the summer, so it’s likely that a movement upward has raised more than a few industry eyebrows – especially among those in the business of making Metro Atlanta mortgages. Regardless of the amount of the increase, the simple truth is that higher mortgage rates add to the already-expensive cost of home buying. As mentioned, the rate rise could push some homebuyers into action as they scramble to buy before their costs rise. In addition, higher interest rates may startle some sellers into cutting their asking prices in an effort to offset the news. It’s one of the few ways sellers can combat the chance of losing interested buyers. It may finally be the time to refinance. Despite interest rates being low for months, experts say there are hundreds of thousands of borrowers who have procrastinated or otherwise not refinanced. If the Federal Reserve decides to raise its funds rate at their next meeting, mortgage rates still may not move much higher. Remember, when the Fed made its first increase last December, mortgage interest rates only increased slightly and then leveled off just as quickly. Industry insiders familiar with Metro Atlanta mortgages say the longer-term rates such as 10-year U.S. Treasury yields and mortgage interest rates do tend to move with expectations of Federal Reserve rate increases – not the Fed’s actual decision to hike rates. The experts use December 2015 as their most notable example. The Fed increased their rate slightly and mortgage rates dropped. Why? Because the market had spent much of the preceding period in anticipation of a rate hike by the Federal Reserve. In this scenario, the threat or expectation of an interest rate increase caused less concern than when the actual increase occurred. Therefore, the market adapted ahead of time to whatever interest rate changes were headed its way. In addition, most experts say that even if rates were to make another move upward, the housing market has bigger issues to worry about. Supply is still a major consideration, and the lack of homes for sale continues to move home prices higher and higher, adversely affecting affordability for most Americans – a problem that is more severe than slightly higher mortgage interest rates. While homebuilders work hard to increase production, they are doing so in the face of rising costs for developable land and higher labor costs. Plus, intrusive construction regulations and restrictions have made homebuilding more challenging than ever. In conclusion, nobody likes to see interest rate increases – especially among Metro Atlanta mortgages – but the resulting impact will probably only hurt the housing industry minimally, at best. Interest rates have been very low for a long time, and there’s little reason to think that increases – even if they do occur – will be large enough to make a difference in the housing market. The additional principal and interest payment that even a 1% increase would have is less likely to prevent buyers from staying put in their existing homes or for renters to continue to pay rent at ever-increasing rates. Simply put, as is the case with many movements in the marketplace – interest rates among them – the effects vary from situation to situation and market to market. Furthermore, for purchasers who have their eye on moving out or moving up, home prices are far more likely to get their attention than small increases in rates affecting Metro Atlanta mortgages. You can find more articles pertaining to Metro Atlanta mortgages and the overall mortgage market in the Atlanta Mortgage Info section of our site below Atlanta Real Estate Categories in the column to your right. We also post tips daily tips, many of them related to Metro Atlanta mortgages, on Facebook and Twitter and would love for you to follow us there as well. Technology and the digital age has certainly made an impact on the Metro Atlanta mortgage business. While roughly 90% of prospective homeowners search online for a home, less than 10% of mortgage lenders offer a comprehensive digital mortgage experience. Now, mortgage lenders are starting to enter the 21st Century by gradually reinventing the mortgage process. Here are some ways in which important improvements are occurring. Some mortgage lenders still subject their prospective borrowers to the golden age of copiers, scanners and faxes to assemble and deliver loan application information and financial paperwork. And while the Metro Atlanta mortgage business has largely been overlooked when it comes to technological advances, it does appear that is changing. Here are the top five ways technology is changing the home mortgage lending process for lending institutions and borrowers. A better borrower experience.The mortgage lending process from application to closing is, by its very nature, information driven. Some loan files can exceed 500 pages. In an effort to save time, much of the information required by lenders in the Metro Atlanta mortgage business is available digitally, and applicants can provided bank account information, tax forms and pay stubs online. This not only streamlines the application process for homebuyers, but it also makes the collection and verification steps easier for the lending institution. Since the financial data is independently verified from its source, mortgage lenders are able to more readily confirm that the information is accurate and current, thus saving time in their review and analysis. In addition, some financial technology companies are offering mobile experiences for prospective borrowers. The mobile apps give the borrowers unique access to the mortgage lending process. The accessibility enables borrowers to stay on top of their documentation needs and requirements, ultimately giving them a better, more satisfying user experience. Increased transparency. Since applicants don’t have access to their mortgage lenders’ internal systems, they rarely know where they stand during the loan application process. They are then forced to rely on the loan officers to communicate various requirements or updates via phone or email. Some innovative Metro Atlanta mortgage lenders are now providing information portals for prospective borrowers to be able to see the same information the loan officers do. This improvement in transparency allows borrowers to obtain a complete list of required documentation ahead of time – and to know where they stand with respect to any additional information required. This innovation enables both parties to work together for the common goal of assembling the information in order to get the loan approved and closed in a timely manner. Making the mortgage process painless. A normal turnaround time for a borrower to receive an underwritten loan approval from a mortgage lender is about 18 days. Overall, it could take roughly 50 days to complete the loan process. Comparatively speaking, in a totally digital world where online shoppers can order an item and get it overnight, 50 days seems like forever. 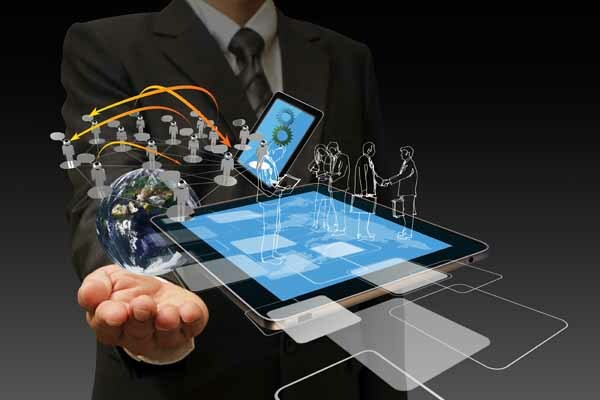 Technology is helping introduce the mortgage lending process to the modern world. Using a workable combination of intuitive design and direct connectivity, loan applicants are now able to contribute to the process and receive up-to-date assistance from the lending institutions. This makes the borrowers more in control of their own destiny, as well as participating in more of a “team approach” to getting their loan approved. Digital compliance. Following the housing crash of less than a decade ago, federal regulations required lenders to follow certain lending practices and give their borrowers more disclosure information early in the mortgage loan process. The regulations are designed to allow mortgage lenders to adhere to strict guidelines while limiting negative impact on the borrower experience. New developments in technology have enabled lenders to automatically send the production and delivery of electronic disclosure information at certain points in time during the mortgage application process. In addition, the natural creation of a digital “paper trail” for audibility and accountability is an offshoot of the new technology. Money-saving advantages. It’s estimated that it costs around $8,000 for a lender to complete a mortgage from start to finish. Much of that cost is for employees to perform routine, manual tasks such as translating required documentation into email form, as well as the physical tracking of various items on paper documents and forms. In turn, such work inefficiencies are passed through to the borrowers by way of higher fees and other processing or closing costs. Using modern technology can automate manual work and reduce these costs. In addition, lenders are able to increase their efficiency and productivity – passing the cost savings on to their customers. The advent of workable technological advances in the Metro Atlanta mortgage business creates faster and more simplified lending interactions. Best of all, the digital “revolution” will likely continue to impact the mortgage industry and improve the borrower experience. While mortgage lending will probably never be a “one-click” process, it can continue to be better, faster and less costly. When you stop and think about it, the digital world has basically spoiled us all. We want – and often expect – goods and services almost immediately. From the digital delivery to a movie or television program on demand, to the ease of online banking, our society has come to expect speed and convenience. It’s only natural that we’d expect the same speed and delivery of improvements in the Metro Atlanta mortgage business. In addition, mortgage lenders want it, too. That’s why we will continue to anticipate and expect further advances that will make the home buying and home financing process a better experience for all parties involved. You can find more articles pertaining to the Metro Atlanta mortgage business in the Atlanta Mortgage Info section of our site below Atlanta Real Estate Categories in the column to your right. We also post tips daily tips, many of them related to the Metro Atlanta mortgage business, on Facebook and Twitter and would love for you to follow us there as well.